Earlier this week, Shelby American unveiled the Shelby GT and GT/SC packages for the 2014 Ford Mustang model at the LA Motor Show. 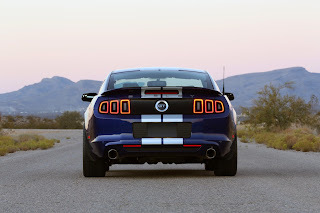 Depending on how much you are willing to invest, your Mustang's power output can be pushed up to 624 Hp while earning the iconic Shelby GT look. The two packages that can be described as follows. The GT package costs $14,995 and gives the car a small power boost of 10 Hp over the original 420 Hp. The package also includes new Borla exhausts, Panhard suspension bar and 20-inch alloy wheels. The iconic Shelby style is part of the package with a fiber glass hood, billet grille and the unique and easily recognizable front fascia. Starting at $27,995, the Shelby GT/SC package includes a Whipple supercharger, Wilwood brakes and performance Michelin tires. 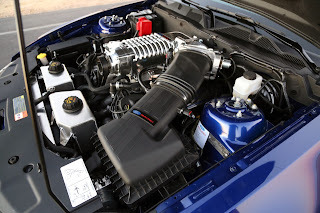 It available in two configurations that allow the output to jump to 525 hp or 624 hp. The top of the range version is said to be able to do the a 0 to 60 sprint in 3.7 seconds. More pictures and details in the press release after the jump. LOS ANGELES – Nov. 21, 2013 – Shelby American, a wholly owned subsidiary of Carroll Shelby International Inc. (CSBI:PK), returned one of its most popular cars to the lineup today by unveiling the Shelby GT at the L.A. Auto Show. 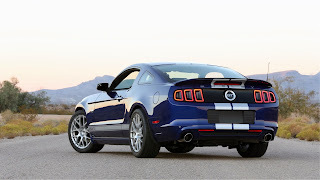 The new generation Shelby GT is based on the 2014 Ford Mustang GT with an incredibly attractive base price and 430 HP. 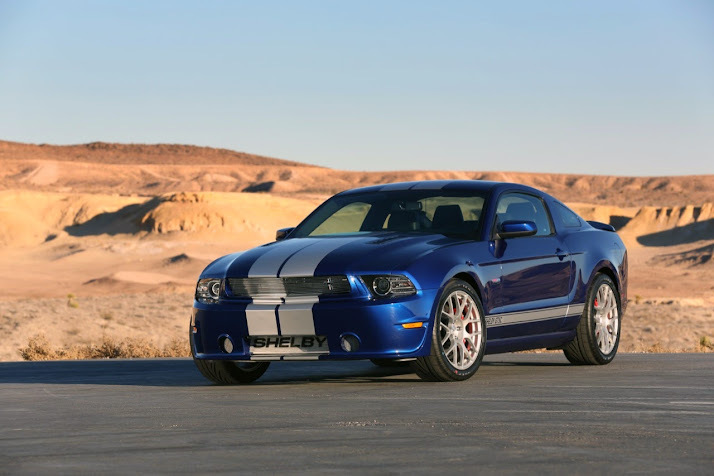 The optional Shelby GT/SC supercharged model comes in either a 525HP or a staggering 624 HP version, making it the most potent version of the car ever made. "The Shelby GT was one of the most important vehicles in modern day Shelby history," said John Luft, president of Shelby American. "It kicked off Shelby's rebirth in Las Vegas by putting a Mustang-based small block car into Ford dealerships. Ever since the Shelby GT went out of the production, people have clamored for its return." In 2007, Ford Division, Carroll Shelby and Ford Racing created the Shelby GT. Beginning as 4.6L Mustang GT's assembled at Ford's Flat Rock, Mich. plant, they were shipped to Shelby in Las Vegas for transformation. 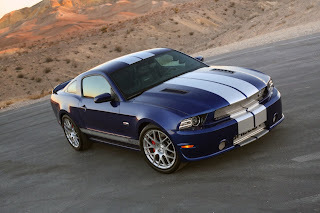 The 320HP 2007 Shelby GT coupes were all Performance White or Black with silver stripes. 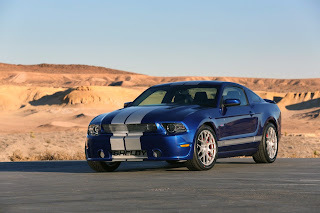 In 2008, Shelby added Vista Blue and a choice of coupe or convertible. About 8,000 Shelby GT's were built. The Shelby GT was wildly popular and the people who snagged one have been one of the most passionate owner groups. The cars were often tailored with custom parts to fit an owner's personality and then driven hard on both the street and track. 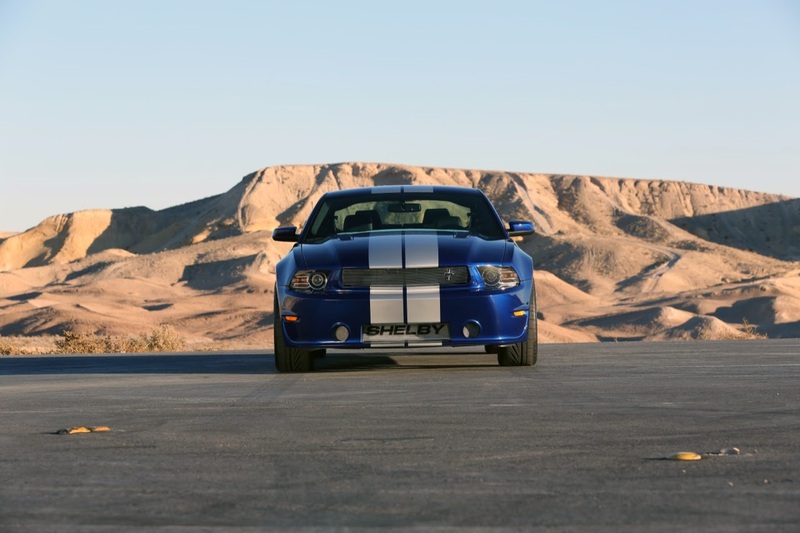 The Shelby GT totally dominated its SCCA racing class in 2007 and 2008. The new Shelby GT is a post-title program; Ford dealers send a customer's Mustang GT coupe or convertible to Shelby for upfit. Every material performance aspect of the car is enhanced or replaced to create a potent, balanced performer worthy of the Shelby name. 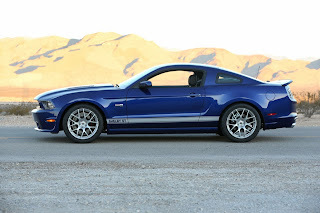 Entry-level package upgrades include a Ford Racing suspension, Shelby branded exhaust, intake and engine tune for 430 HP, specially designed wheels and tires, short shifter, hood and Le Mans stripes that make it uniquely Shelby. Every Shelby GT version is 50 state emissions legal and runs on pump gas. One of the car's most appealing aspects is the opportunity for personalization. 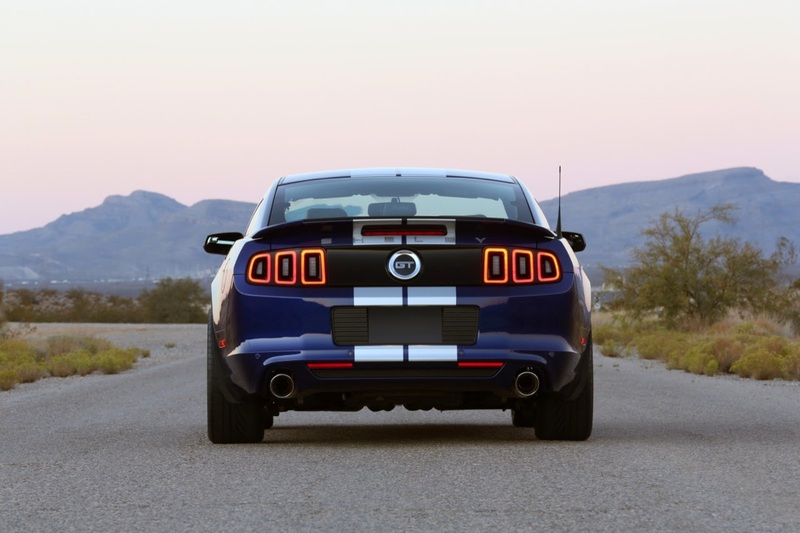 Choosing from an array of options, customers can opt for a more hard-edged suspension, better braking and supercharger upgrades, as well as a vast selection of performance and styling parts from Shelby Performance Parts. "While the Shelby GT is very affordable for such an exclusive vehicle, a post title program allows us to take performance to new levels," said Shelby American VP of Production, Gary Davis. "Working with partners like Ford Racing, it is docile enough to be a daily driver and still dominate the track on the weekends." "No other carmaker offers this level of performance, heritage and iconic styling at this price, making the Shelby GT the best all-around American car in its class," said Luft. "Each car will be issued a Shelby American CSM number for documentation in our Shelby American Worldwide Registry to help maximize potential future value." The price of the base Shelby GT package, not including the car, is $14,995, making a nicely equipped car about $45,000 in total. The Shelby GT/SC package begins at $27,995. Customers can build their Shelby GT online at www.shelbyamerican.com/2014shelbygt. 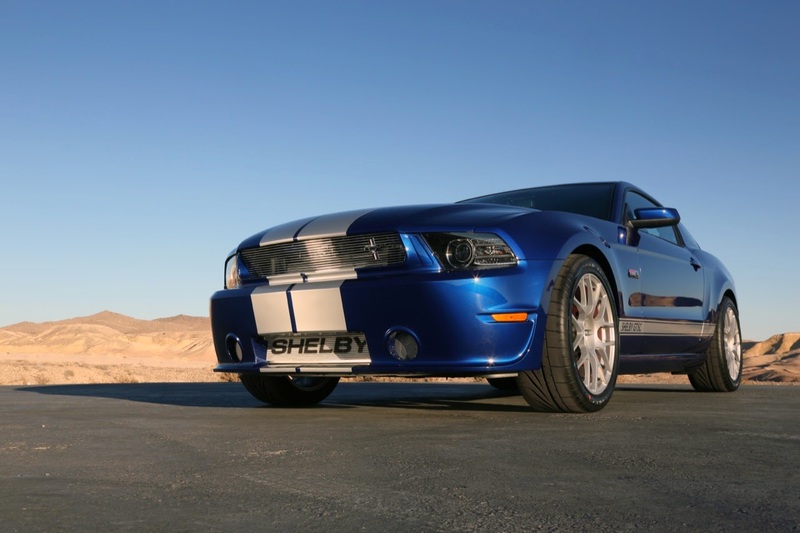 Founded by legend Carroll Shelby, Shelby American manufactures and markets performance vehicles and related products. The company builds authentic continuation Cobras, including the 427 S/C, 289 FIA and 289 street car component vehicles; it offers the Shelby GT, 1000, GT350, GT500 Super Snake and GTS post-title packages for the 2005-2014 Ford Mustang. Shelby American also builds the Shelby Raptor muscle truck and Shelby Focus ST hot hatch. For more information, visit www.shelbyamerican.com. 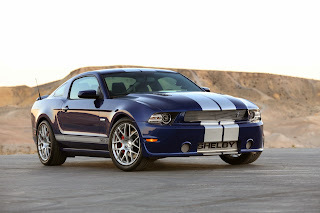 Shelby American is a division of Carroll Shelby International Inc. (CSBI.PK). Carroll Shelby Licensing Inc., also a wholly owned division, is the exclusive holder of Carroll Shelby's trademarks and vehicle design rights. It also holds trademark rights for Shelby-branded apparel, accessories and collectibles. Info is at www.shelbylicensing.com.